Why Is The FDA Concerned About Pure Caffeine? Caffeine's effect on humans in the form of beverages is mainly related to the removal of drowsiness and an increased alertness. Pure caffeine differs from caffeine based on the water content of the caffeine molecules. Pure caffeine is a dry white powder that is almost completely devoid of water. It is also known as caffeine anhydrous. Caffeine's effect on humans in the form of beverages is mainly related to the removal of drowsiness and an increased alertness. It acts as a stimulant when consumed in low doses, such as a few cups of coffee per day for instance, but becomes relatively dangerous when consumed at high doses. Pure caffeine in a powdered form is considerably more lethal, since even a small amount can cause adverse or life-threatening situations. This is evident by the U.S. Food and Drug Administration's (FDA) public information piece, advising individuals to completely avoid pure caffeine powder as a stimulant for staying up late and as dietary supplements to improve one’s health. According to the FDA, 25 cups of coffee equal a mere teaspoon of pure caffeine powder, which conveys the highly potent nature of pure caffeine. A major event that has caused the FDA to become concerned about powdered pure caffeine usage is the tragic demise of two young men who died after consuming excessive amounts of pure caffeine powder. This has led to the FDA issuing consumer advice about pure powdered caffeine and also requesting people to come forward in case of any adverse effects of ingesting the same. Another issue that has caused concern with the FDA about pure caffeine powder usage is in the health and wellness industry. Young people are being exposed to marketing strategies by health companies that promote dietary supplements containing pure caffeine as providing a rapid boost in one's health and mental alertness. Since the FDA says that it is almost impossible to measure a non-lethal dose with simple home measuring tools, these supplements could well be potentially lethal to youngsters, when consumed in higher numbers. 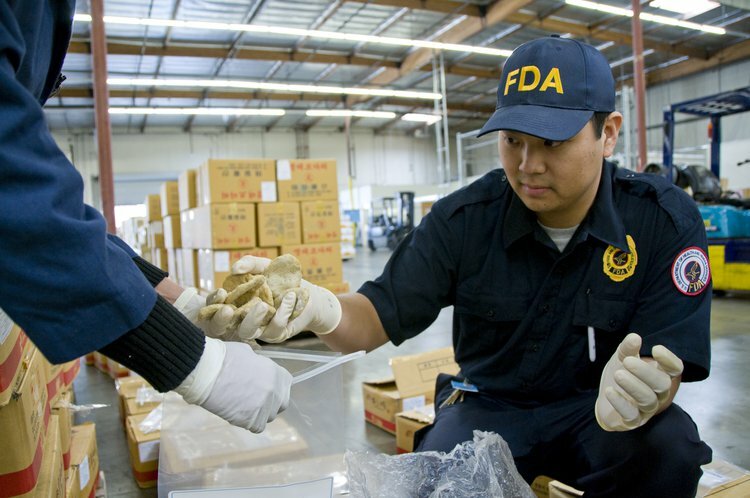 Over the counter sale of bulk amounts of pure caffeine is a concern to the FDA due to easy accessibility of the substance for almost any age group. Individuals who are unaware of the ill-effects of pure caffeine need to be informed and educated on the severities of the risks. The advice given by the FDA on pure caffeine intake should be meticulously followed to avoid unnecessary health issues or even tragic events of death. Moderation of caffeine intake could be another way to prevent any negative health effects that could occur. This may prevent and help control any unwarranted overdoses, too. Fausch, K., Uehlinger, D. E., Jakob, S., & Pasch, A. (2012). Haemodialysis in massive caffeine intoxication. Clinical kidney journal, 5(2), 150-152. Eichner, E. R. (2014). Fatal Caffeine Overdose and Other Risks from Dietary Supplements. Current sports medicine reports, 13(6), 353-354. Paradkar, M. M., & Irudayaraj, J. (2002). Rapid determination of caffeine content in soft drinks using FTIR–ATR spectroscopy. Food Chemistry, 78(2), 261-266. Hampton, T. (2014). FDA Alert on Pure Caffeine Powder. JAMA, 312(8), 779-779.